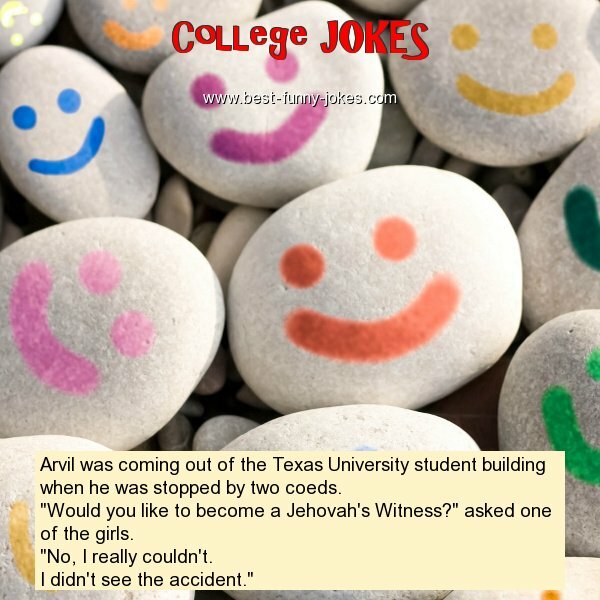 Arvil was coming out of the Texas University student building when he was stopped by two coeds. "Would you like to become a Jehovah's Witness?" asked one of the girls. I didn't see the accident."